A constantly expanding library is the center for research as well a study base for students’ projects and other literary and cultural activities. 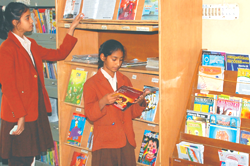 Students are encouraged to be companions of books which are treasure-house of wisdom and experience of centuries. Stacked with over 20000 books the school library includes a plethora of encyclopedias, magazines, journals, interesting story books, CD ROMs and books related to academics and general information. Computer aided learning has become imperative for the learners in the fast moving world. Keeping this in view, three air-conditioned well furnished computer labs have been established where students have ready access to latest machines. 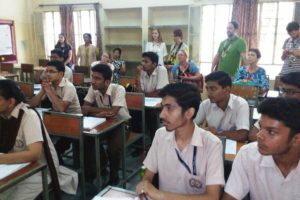 To realize the aim of modernizing infrastructure and meeting out the challenges and competitions in the field of education the school has been equipped with school expert system. In order to implement all the modules of the system successfully in the school, an electronic OMV card has been personalized for all staff members and students. Safety of the student and discipline is the need of the hour. To maintain strict check and vigilance on all areas of school and to improve discipline, close circuit cameras have been fitted in each classroom, labs, library and other activity rooms. Keeping pace with the latest technology the School has got a huge auditorium. 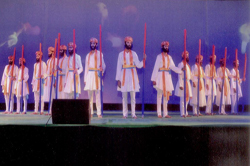 An elegantly and neatly designed school auditorium situated on the 3rd floor is the pride of the school. It is simply a perfect place to put up intra and inter events. It is equipped with an ultra modern public address system, LCD projector with state of art acoustic and sound technology. 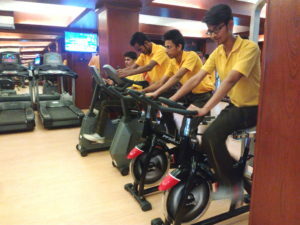 A laudable and mega venture of the Shikha Praishad has been the setting of a gym, one of its kinds in the city of Jaipur.An expansive neatly laid out gym meets out the needs of our students specially those who have opted for Physical Education as an optional subject. The gym is equipped with latest fat busters, indigenous, imported, custom designed and user friendly devices to suit the needs of all ages.The gym has opened up new era in the field of health and fitness. Truly a gift for Jaipurites and Mahaeerians. Educomp Smart Class is now part and parcel of the Mahaveer Public School Infrastructure. The software is engrossed into the system that it seems an in built part of curriculum. The graph of usage of the programmer is going in ascending order.Every staff member enjoys using this software to it adds two more dimensions of visual and sound to their classroom teaching. About Educomp Smart Class: Educomp Smart Class is concept based on the assumption that technology cannot replace the teacher. Technology can supplement the teacher and teaching aids. The program comprises of short presentation of 2-3 minutes of each topic of course in all the subjects. These presentations designed to fit in 40 minutes period. The presentation is full of animation, sound and graphics which makes the concepts easy and interesting for students and improves their learning skills. These presentations can be paused in between and a teacher can give his/her explanation. This application also provides the facility to display self prepared content using visualizer and also allows drawing figures, graphs etc.In order to improve the practical skills in Physics, Chemistry and Biology, school has set up a 3-D lab which gives greater understanding to students in learning these skills and makes it enjoyable and easy. 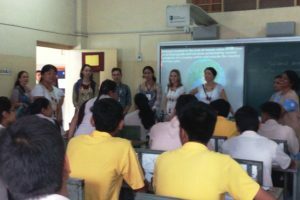 School has taken another step to increase the effective and smart use of IT by introducing another program in the form of SCHOOL TALKS, which connects all the teachers, students and the parents on a single platform to share their ideas and progress of school and child. 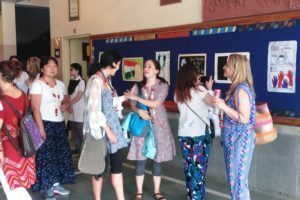 However, due to busyness of parents in their work they miss a lot of activities in the school. 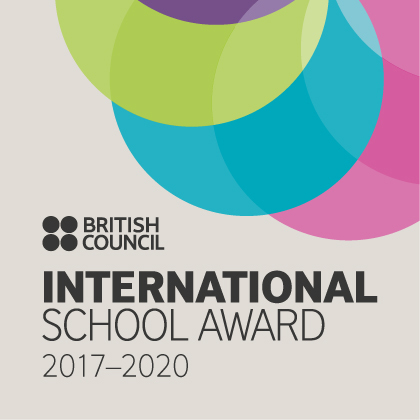 But this project will help to bring each one to close and share classroom activities and school activities using this programe. It also helps in sending messages to the parents along with images and videos. This project needs smart phone for its effective use. 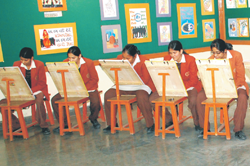 Mahaveer Public School is a fully comprehensive co-educational English medium school set up in 1996. It is affiliated to the Central Board of Secondary Education, New Delhi.